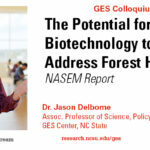 GES Colloquium, 2/19/18 – Jason Delborne | In 2018, the National Academies of Sciences, Engineering, and Medicine formed a committee of experts to explore the potential for biotechnology to address forest health. The committee focused on threats to forest health from pests and pathogens and considered challenges and opportunities of biotech trees (genetically engineered or gene-edited) as solutions. 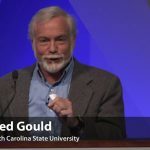 NASEM released this report in January 2019, and Jason participated in the public release of this report in Washington, DC and a session at the AAAS annual meeting to summarize findings of the report. 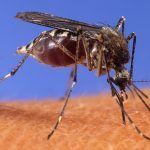 GES Faculty member Jason Delborne addresses two controversial new papers in several articles published this week on the safety of field testing CRISPR gene drives in the wild. 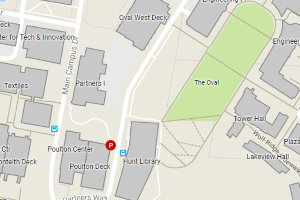 With links to articles in New York Times, Quanta, Gizmodo and The Atlantic. 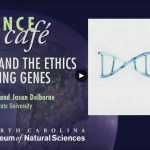 GES faculty John Godwin and Jason Delborne were at the NC Museum of History on 9.28.17 discussing genetic biocontrol of pest populations, such as CRISPR gene drives to eliminate invasive rodents from islands to protect endangered seabirds. See PowerPoint presentation & livestream video (including slides). 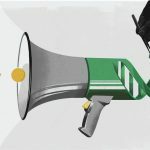 “Without transparency, we might see a kind of hyperpolarization,” says Jason Delborne, a professor of science, policy and society at North Carolina State University. Concerned groups will feel marginalized, and advocates won’t receive critical feedback needed to improve design and safety. “This puts the technology at risk of a knee-jerk moratorium at the first sign of difficulty,” he notes. 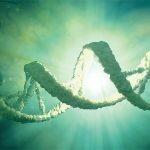 Funders of the National Academy of Sciences consensus study Gene Drives on the Horizon (2016) have published a response to the report in the December 2017 issue of Science. 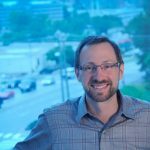 The study summarized “current understanding of the scientific discoveries related to gene drives and their accompanying ethical, legal, and social implications,” and was co-authored by Dr. Jason Delborne, associate professor of science, policy and society in the College of Natural Resources and executive committee member of the GES Center. 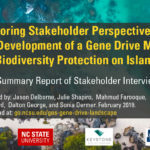 NC State’s Jason Delborne, an expert in science and technology policy and public engagement, answers questions about the emerging science of gene drives. Delborne helped develop a National Academies report on gene drives and unveil it in Washington, D.C. 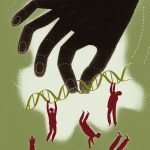 This article reviews the current state of gene-editing regulation for crops, illuminating the ways in which technology developers are repeating practices that may lead to the public and ethical failures of the first generation genetically engineered crops, and argues that the contentious socio-political history of genetic engineering will repeat itself for gene editing if these continue.